The Floating Keychain fits over your wrist so you don't lose your keys while on the water. 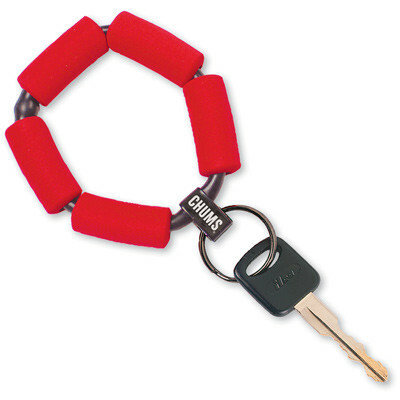 If you happen to go overboard and lose your keys the Floating Keychain will keep them on the surface. Easy to spot with it's bright foam and TPU construction, it will float 1 oz (28g) or about 2 keys.